The precious data is the work of Andrew Tallon, a Francophile American art professor who loved medieval architecture and was passionate about Gothic cathedrals. He died in November. His technique was nothing new, but his application of the tools was innovative. 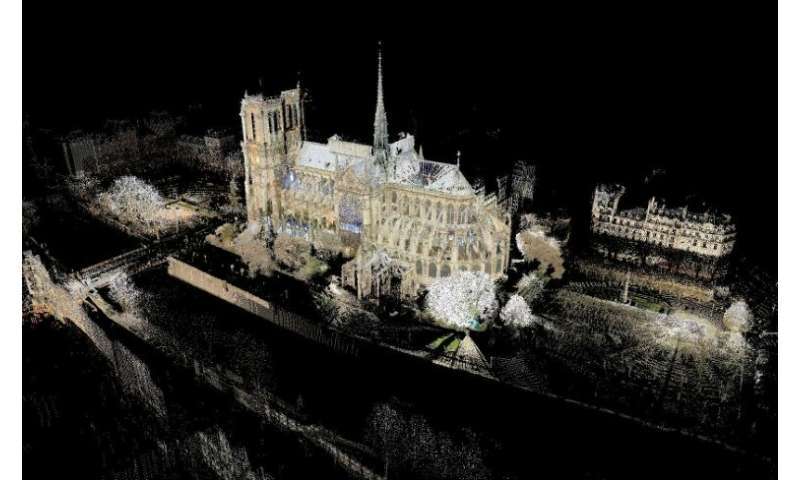 In 2011 and 2012, funded by a foundation, Tallon used a laser device to accurately measure the interior and exterior of the cathedral, which was ravaged by flames this week. He placed the device in about 50 places to measure the distance between each wall and pillar, recess, statue or other form—and to record all the imperfections intrinsic to any centuries-old monument. The result is over a billion points in the "point cloud." The final computer-generated images reconstruct the cathedral down to the smallest detail, including its tiny defects, with a precision of about five millimeters (0.1 inches). These images, for example, confirmed how the west side of the cathedral was a "total mess... a train wreck," Tallon told National Geographic in 2015, pointing to the misalignment of the interior columns. He wanted to get "into the mind of the builders," said his former student Lindsay Cook, a Francophile like Tallon who is now a visiting assistant professor of art at Vassar. "He was interested in using laserscan data to find moments like small ruptures in the construction, places where things were not exactly straight or in plumb, where you could see the hand of an individual architect at work, and in that case the hand of individual masons," Cook told AFP. From these measurements were born the images published in a book in 2013 and shown in an exhibition at Notre-Dame in 2014. But the bulk of the data remains untapped in the form of 1s and 0s on some hard drives. Several French firms have also digitally mapped Notre-Dame bit by bit—not for historical research but for conservation purposes. 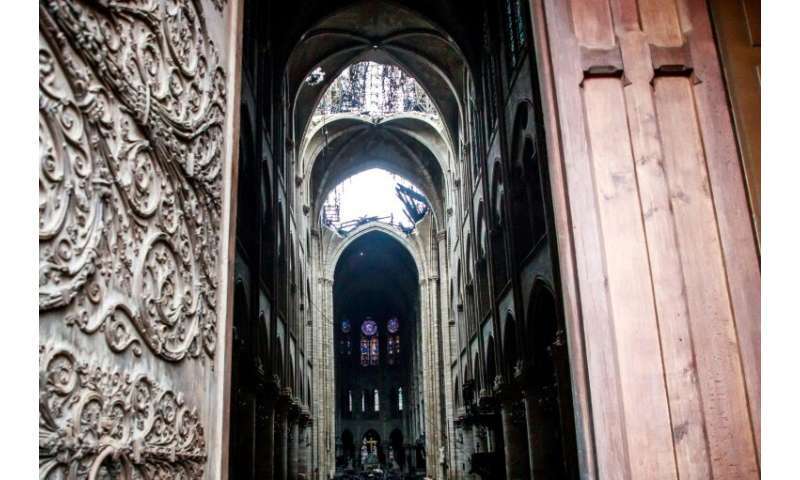 Art Graphique et Patrimoine, which assisted Tallon in his work, says that over 25 years, they have collected 30-50 billion data points, notably of the destroyed 19th century spire and the ravaged roof. Tallon "has a complete model, but it is not exhaustive," Gael Hamon, the CEO of Art Graphique et Patrimoine, told AFP. His firm is now trying to piece the data "puzzle" together. Notre-Dame can probably be reconstructed without this data, but laser modeling brings precision to the photographs and drawings held by architects in France. This is particularly useful for elements such as roofing and the spire, which were more difficult to measure physically. The modeling will help restorers to identically recreate the part of the vault that has collapsed inside. "If eventually the authorities wish to use this, then of course it would be shared with them," said Cook. The data is currently on external hard drives at Vassar, with copies at Columbia University, where academics collaborated with Tallon as part of the "Mapping Gothic" project. If architects ask for the data, it would have to be delivered in person, as it is too large to be transmitted over the internet. 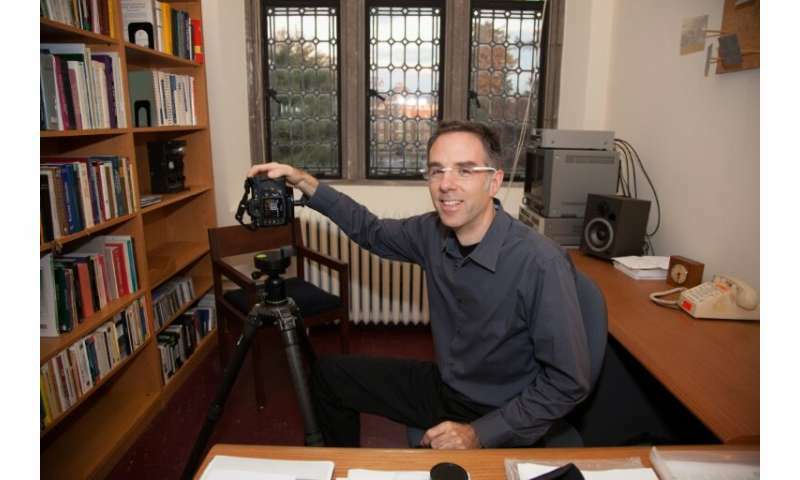 If Tallon's "scholarly work can somehow inform those who will be taking on the daunting task of restoring a cathedral to its former glory, it will be a fitting memorial for a very wonderful scholar who devoted so much to Notre-Dame," said Vassar dean Jon Chenette. On other hard drives, historians will also find, if they wish one day, another inheritance from Tallon: laser modeling of the cathedrals of Beauvais, Chartres, Canterbury and even the Basilica of Saint-Denis. From the article: " (...) with a precision of about five millimeters (0.1 inches)." Five millimeters is 0.19685 inch. So the 'conversion' presented here is off by nearly 100%. It's high time the Anglo-American world joined civilization and started using the decimal system. Five millimeters is 0.19685 inch. Precision is a description of random errors, a measure of statistical variability. 5 millimeters has one digit of accuracy. Your six digits are falsely accurate with ZERO precision. Your remark makes no sense. I am not talking about the nature of precision, but the converting of measures in millimeters into inches. The simple fact is that if you wish to render "5 millimeters" into inches, the exact figure is 0.19685 in., which would round off to 0.2 in., while 0.1 in. is given, which is ~50% of 5 millimeters, and therefor off very considerably.